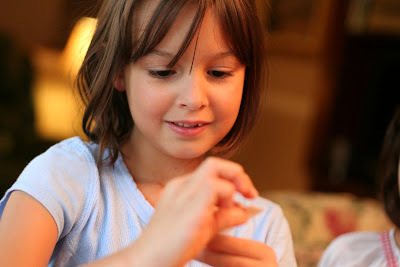 I've been posting updates and pictures on our homeschool blog "Our Homeschool Creations" lately on what we're doing each week in school. Winner of The Old Schoolhouse Magazine!! 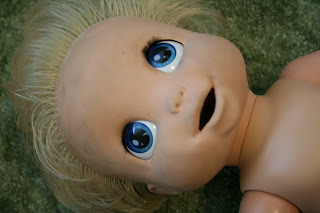 ...but this little doll scares the bejeevies out of me. And I keep finding her in random places all over our house, thanks to my children. It might not be so bad if she didn't talk. And blink. And just....I can't quite put my finger on what it is about her that disturbs me so much. 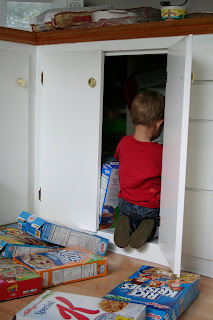 This is partly a wordless Wednesday post - but, I just have to say we saw this happen THREE times at our house today. We were even trying to rush one to our friends school for them to see, and ended up pulling over just to watch it all since it happens so quickly. Each time I watch it I am amazed at how wonderfully creative our God is. 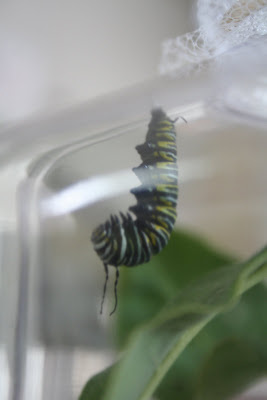 The pictures might be a little cloudy through the container, but you have to see this little bug MOVE!! I kept my camera in the same spot once he started turning, so you are seeing how it all happened. Before you panic and run away from my blog, it's not that "f" word, but an equally nasty word in our house. And it was spoken recently when a little friend came to visit. Round these parts, we like to use the more delicate word of "toot". You know, pretty it up a bit. It already stinks, so we might as well try to make it sound a little better, right? The girls had a friend come and visit for the morning and at dinner that night our kids were talking and said the friend had farted on Laurianna's bed. And they giggled. We had a little talk about how we don't like using that word (kids heard blah, blah, blah) and then we had to go round and round about why we don't like that word. Because you know there were a million questions. "Why can't we say fart? Fart, fart, fart." "But ______ said it, so I can say it too!" I about dropped my fork, because my brain had already gone so far past the prior conversation with our kids, and my mind was madly scrambling trying to figure out where in the world she would have heard the other word. I ever-so-calmly (umm...not so much) asked her to repeat what she had just said, so she did. I asked her what she was talking about, and she replied, "The 'f' word is 'fart,' and the 's' word is 'stupid'." Which is lovely, but I can just so picture my kids running down the aisle in church in the near future yelling, "_________ said the 'f' word, Mom!" and the stares that will follow that one. I swear (and no pun intended - well, ok, maybe a little) that we do not teach our children naughty words. In our house the "s" word is "stupid" and we are not supposed to say it. Of course the kids try to circumvent that lovely rule by saying, "You're the 's' word." It's working well, it is. The past few weeks we've been studying China in our geography lessons thanks to the Oympics and the girls have really been excited to learn how to write things in Chinese, eat Chinese food, learn all about the country...and they want to speak in Chinese. To help them out, I put in a Chinese language CD from Chick-fil-A and let the kids listen to it in the car while we were out running errands. When we got home for lunch they decided that they were going to speak to each other in Chinese during the meal. With their vast knowledge of the language, they had it whittled down to two key words: Yes and No. If you've read my previous post on this subject, you might recall that the Chinese word for "Yes" is "shi" and "No" is "Bu shi". When spoken these two words sound suspiciously a LOT like two words that one would not want to hear coming out of the mouths of young (or any) children. They are oblivious to how the words sound, or even what the other two words are or mean. M: "Laurianna, would you like a sandwich." L: "McKenna, would you like some more raisins?" And it went on and on and on. The voices of my children VERY loud and emphatic. Until I was hiding behind the kitchen counter trying not to laugh out loud and wondering how I could best divert the kids from their desire to learn a foreign language. So, next week we are going to practice phrases like: "I love God" and "Jesus loves me". Or counting from 1-10. Anything other than "yes" and "no" thankyouverymuch. And hopefully they will revert to a "Yes ma'am" and "No ma'am" shortly. 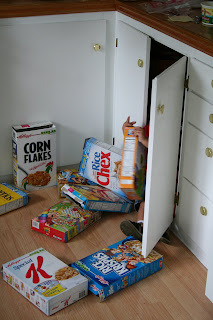 Our recent trip to New York and Kaleb's discovery of Grandma's cereal cupboard brings home the reminder of how lovely cupboard locks are. I've been tagged by a friend from college, Sara-Anne. She and I recently got back in touch via Facebook, a lovely, yet sadly addicting place to hang out - especially if you haven't chatted with many of your college friends in close to (gasp!) 15 years. 6. What is your middle name? You guess...and good luck, it's foreign and starts with a "D"
11.What characteristic do you despise? audible nail biting - is that a characteristic? 13. If you could go anywhere in the world on vacation, where would you go? a tour of Europe: Ireland, England, Italy, France.....wherever! 16.What was your most recent memorable birthday? memorable - ummm...I remember I turned 35, does that count? 18. Furthest place you are sending this? Well, you'd all have to tell me where you are checking in from wouldn't you? 24. Any new and exciting news you'd like to share with us? we are in the beginning process of building a new house!!! 29. What is a day on the calendar you are looking forward to? Labor Day Weekend - Graham Cooke is coming! 44. Coffee or tea? Coffee, please! 48. What are you afraid of? Wrecking my car again...probably since I seem to have a past history that would suggest this could be a problem. 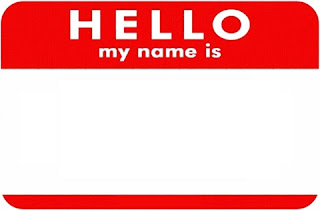 "When we all get to heaven and Jesus gives us our new bodies, will He give us name tags too?" We've been visiting Rick's family this last week and Zachary told us today that he was homesick. When I asked him what it means to be homesick, he said, "It means I have a headache." On our way to church, McKenna was apparently busy concentrating on something rather ungodly: nosepicking. "I wish that there was a machine that would be able to pick my nose that that I wouldn't get my fingers dirty." Yes, that would be called a TISSUE! Head on over to Mary's at Not Before 7 for some more Tiny Talk Tuesday. It never ceases to amaze me how things can go from fairly calm and normally functioning to completely off the wall in no time at all. I was still basking in the mommy-glow, all proud of Kaleb because he was sorting toys today. All by himself. I was rather impressed that he picked non-Duplos out of the Duplo box, put them in the other toy basket and then picked up his room (while Zachary was running around avoiding that chore of his). But he, being 20 months, actually sorted his toys. Impressive, no? Even moreso impressive, my oldest three seemed to be contendedly playing together. Little did I know that they had discovered Zachary's old potty seat high up on the shelves in the basement, climbed up and pulled it down and had it set up as a port-a-potty of sorts in the boy's room. Unfortunately I discovered this only after McKenna had decided it would be fun to use it for some, ummm...rather stinky business. Just makes a momma proud, it does. "What were Adam and Eve's last name?" You got me there. Not a clue how to answer that one. One of my recent favorite pictures of our little bug. 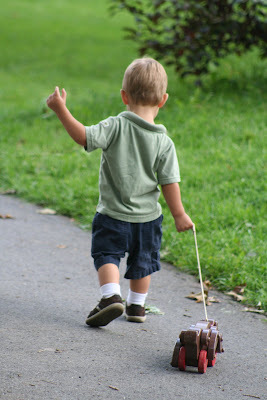 As a mom there are many times at the end of my day when I look back at my day with the kids and start the "if onlys". If only I hadn't yelled at them. If only I had reacted differently. If only I laughed more. If only I spent more time with the kids. If only I sat down with them when they asked. If only I had disciplined them differently. If only I had encouraged them more. So many if onlys. And they can be crippling. Horribly so. To the point There are times I feel that I have somehow done irreversible damage to my children. That they will be scarred emotionally, in therapy for years, and it will be all my fault because of one (or more) of those "if onlys". Recently I was reading a book by Tracie Peterson called A Lady of Secret Devotion. At the end of the book there was one part that literally brought me to tears and just put so much into focus for me. I love it when God finds little, unexpected ways to speak to our hearts! "I wish I could go back in time and do things differently." "I'm sure your right...I must fight against the regret that would see me defeated. I cannot change what has happened, but it needn't separate me from a happy future." (emphasis mine - p. 362). The regret that would see me defeated. The lies that the enemy would have me believe. Trying to cripple me in my relationship with God and my relationship with my family. Because those lies, those regrets, do not belong and have no hold over me as I am a child of the King. I need to lay those "if onlys" down each and every day - the moment they try to pull me down. "Forget the former things; do not dwell on the past. See, I am doing a new thing! Now it springs up; do you not percieve it? I am making a way in the desert and astreams in the wasteland." My Father goes before me - each and every day. Bringing life into a place that is dry and thirsty. Creating an oasis for me. An abundance that will spring up and spill over into my family. No "ifs" - only Him. 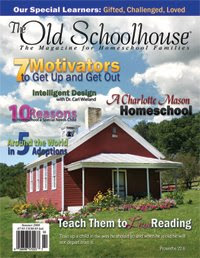 The Old Schoolhouse Magazine Giveaway!! A few months ago I purchased a digital subscription to The Old Schoolhouse magazine. I love it so much, that one of you lucky ladies will win a full year's subscription to it!! Are you interested? Keep reading to see how you can win your own digital subscription to this great magazine. I have had quite a few magazine subscriptions over the years and inevitably they end up piling up on my end tables, get shoved in drawers, thrown away (gasp! ), or sadly find themselves hiding under a bed somewhere. When The Old Schoolhouse magazine went digital, I subscribed right away. It's all about convenience at times, isn't it? link immediately to URL's and emails that are mentioned in articles or advertisements (This is one of my favorite features! While going through the summer issue I found even more sites to visit...and here I am on vacation browsing through my issue). search articles for specific words or phrases - and find them all with the click of a button! The digital version of The Old Schoolhouse magazine has other great benefits too. The paper version of the magazine is $25, but the digital version is only $16.95 (that would be a savings of 32%). Each issue of TOS magazine is delivered right to your inbox - no more waiting around for the next issue to arrive. As soon as it's available, you have it. There are four quarterly issues and also 19 FREE digital gifts. and these are just a small glimpse of the scope of the articles! As an added bonus, subscribers to The Old Schoolhouse digital magazine also receive The Teacher's Toolbox, an additional monthly resource delivered right to your inbox that supplements the magazine. It includes bonus downloadable items, ideas for field trips, teaching ideas and encouragement for homeschool families. Honestly, I can't say enough how much I am enjoying my subscription to The Old Schoolhouse magazine. While every article might not apply to me, I have gleaned so much information from it, and love that I can always access past issues at the touch of a button. Are you ready to win a FREE YEAR?? Chance #1. 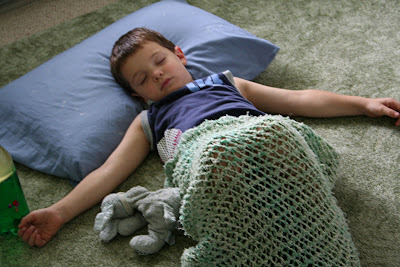 Leave a comment on this post (or on the duplicate post on Homeschool Creations blog). Please be sure to let me know how to get in touch with you - if you comment as "anonymous" it makes it a little difficult to find you. :) Leaving an email or blog address makes it much easier to find you. And an entry on both sites is perfectly fine...and each will count as a separate entry, so go visit my other blog too! Chance #2. Get your name in an extra time by posting a quick little blurb about this giveaway on your own blog. Be sure to let me know so that I can come and visit you also! If you have more than one blog and want to post it on them all, be my guest! Chance #3. If you send someone over to enter the contest, tell them to let me know who sent them when they leave a comment and you will earn an extra entry. Refer away! This contest will run for the next 2 weeks and a winner will be drawn on Wednesday, August 27th, so feel free to pass along the information to others. 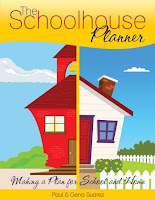 I was recently sent a copy of The Schoolhouse Planner to review and post about to all my bloggy friends. I'd been eyeing this lovely little planner since before it was even released. Me and my love for organization. The love of forms, forms, and much more. And those loves have not been disappointed. This planner is amazingly comprehensive. Think of a form that you might wish for in a planner and more than likely it is already contained in the 247 page e-book that you download for $34.95 from the Schoolhouse Store. It comes as an interactive pdf file that comments and markups can be added to and data can also be typed and saved into the various forms. The Schoolhouse Planner starts out with a calendars so that you can view your school year at a glance. 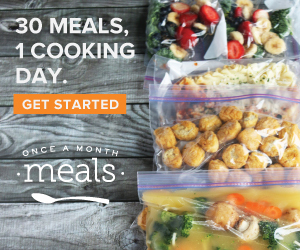 Each month of the school year comes with various resources that include recipes for easy dinners, articles for homeschool families on a wide variety of topics and resource lists with quick web links. There are also an unbelievable amount of forms for homeschool planning and household organization (73 to be exact, but who's counting?). I was truly amazed by the completeness of the topics and articles covered. I never expected to have a copy of the Bill of Rights, Emancipation Proclamation or the Declaration of Independence in a planner...and those are just a few of the many "quick lists" of information available. Articles that are included in the planner (once a month) cover topics such as unit studies, teaching writing, solving science struggles, and chore training tips. If you would like to see a peek of the planner you can follow this link and it will give you a little teaser of what you will be getting. The Schoolhouse Planner is divided into three main sections: monthly plans, homeschool forms, and household forms. The great thing about this planner is you can print off only what you need or want to use. The forms will always be available to you whenever you choose. Using this planner along with your printer and a binder will enable you to pull so much together in your household and have it located in one convenient place. And if you don't hear from me in the next little bit, it's more than likely because I am printing off forms and having far too much fun organizing! ...it is so amazing to be a part of God's family and see how He loves on each one of us! A few days after our tenth anniversary, a friend of ours was in town and we got together with her to take pictures of just Rick and I. Because the last decent picture that involved the two of us in quiet bliss existed in the realm of B.C. - before children. We snuck away for about an hour and despite my husband's belief that he doesn't do well taking pictures, Lisa took some amazing shots of us (check her out at Destination Photography). Sorting through the many pictures is taking some time, because there are too many that we really, really like. And just not enough wall space to put them all! Other than having a recent picture I just wanted something that would show IT. That after 10 years of marriage and 4 kids...there would be something that captured just a moment for us. The fun in our relationship. It's us. Having fun. Remembering how it all began years ago...just the two of us. Capturing the love. Really - what is there to say? Over the last month, I've been reading The Secret Garden to the girls. I found a great audio version, radio theatre actually, put out by Focus on the Family that I had for them to listen to after we finished reading together. We haven't finished it yet, but I caved anyway and let them listen to it when we had a long car ride the other day. Several of the characters in the book speak with a Yorkshire accent, so of course on the theatre version they also do. After hearing Ben Weatherstaff, the gardener, start talking, I overheard McKenna tell Laurianna, "Hey! Ben is speaking in an oyster accent too!" That one got an outright laugh. Head on over to Mary's at Not Before 7 for some more cute kiddo talk. It's been almost one year of blogging for this momma! 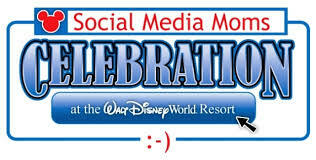 This special occassion calls for a CELEBRATION!! I'm pulling together some giveaways for you all - and I'll post more on that soon! 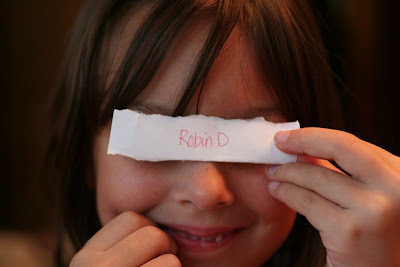 I'm also working on a new "face" for my blog too - so don't be surprised if you log on soon and see a different look.